This Plank Challenge timer is designed to simplify multi-day fitness goals by automatically calculating incremental daily targets, and automatically setting the timer accordingly for each day of your challenge. Choose easy, medium, or hard difficulty, or set up your own custom challenge. 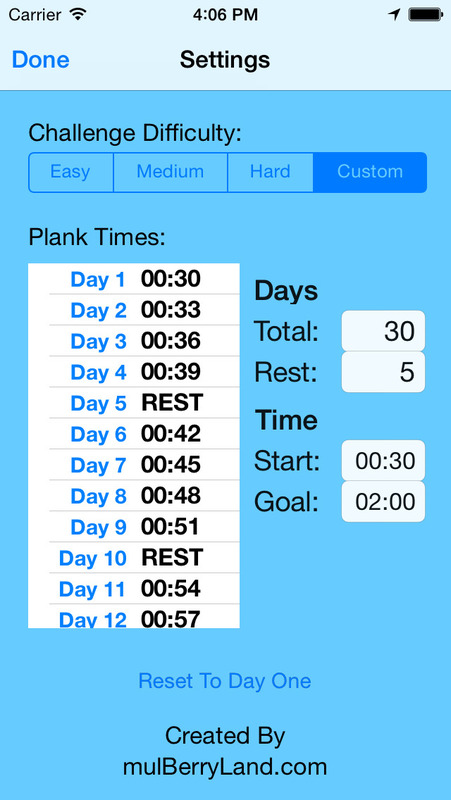 This app was built specifically with a 30-day Plank Challenge in mind, but can easily be used for any multi-day time-based fitness program.